Now you can experience that fancy Vista Windows Flip 3D (START + TAB) switch effect in Windows XP. The program is called Shock Aero and can be run without any setups. Of course , it is not exactly the same as Vista’s but it works for me. The 3D windows are flipping when you scroll mouse wheel or ALT+TAB continuously. Macintosh OS X style can be selected instead of Vista Flip 3D style. But Mac style seems little bit slower than Vista Flip style. Well, these goodies do not come with the default Windows XP. They are created by the developers and they are free. That’s why there is no support from Microsoft for these products. By the way, according to the link, these will only work with Windows XP, not Vista. There are several great useful utilities that can be downloaded and setup separately. I think some of them are very useful. 1. Tweak UI. 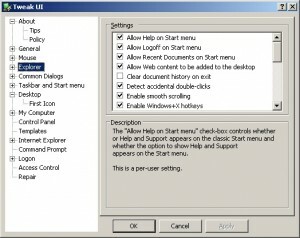 As the name of the program explains, you can tweak many default properties of your Windows system. 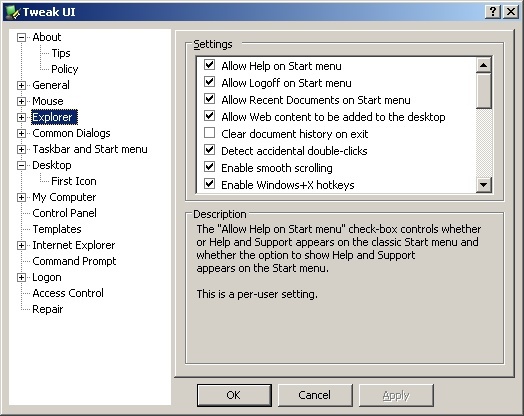 (Default user UI, Explorer Settings, Logon – Auto logon, Desktop Icons, Mouse Settings.) It is very useful. It is a wonderful replacement of traditional ALT-TAB Taskswitcher, indeed. 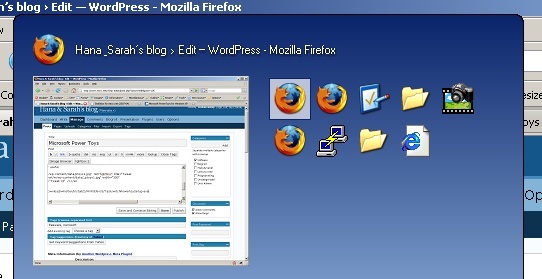 Small preview image appears in the left side when you move onto the next application.The background color is depend on the Desktop Color defined in the Display option of the Control panel. ClearType Tuner : When installed, it will help to display the fonts in more distinct and clear way. It is a great help for the people who use labtop with small screens. 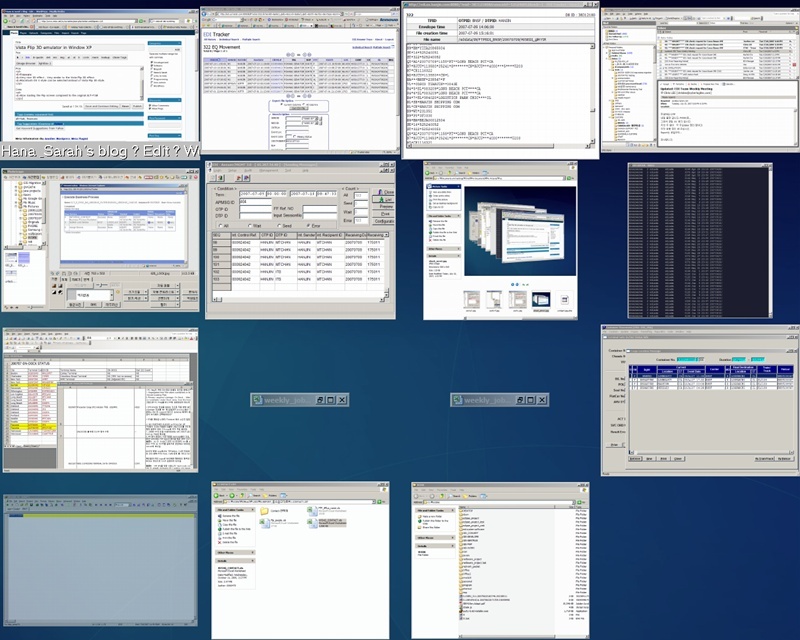 Virtual Desktop Manager: When you have at least 10 or more applications running at the same time, you do feel that your screen is very small and tight and hoping for a larger monitor. 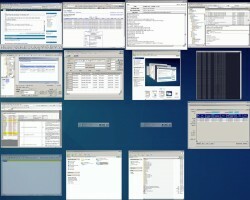 But you can solve the limited desktop space by using the Virtual Desktop Manager. You can have several desktops and you can switch each desktop easily. 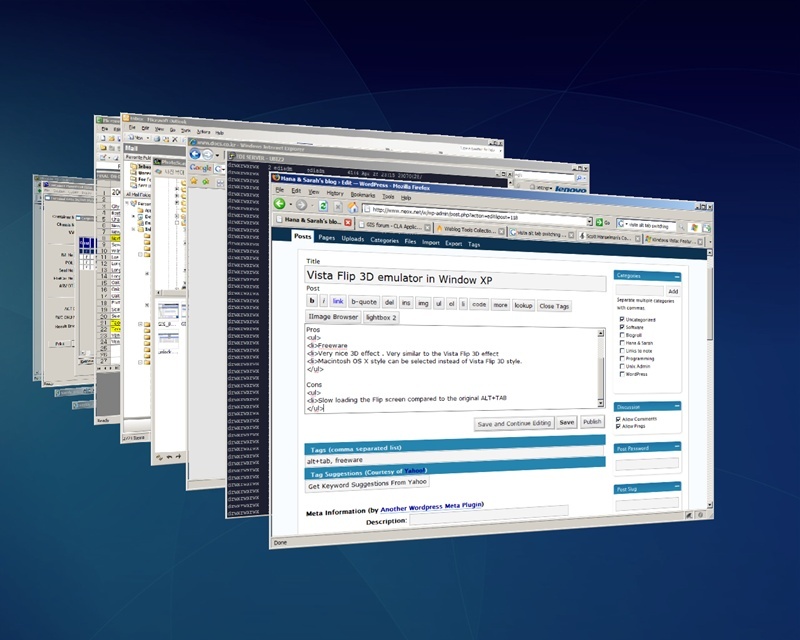 Later in the upcoming blog entry, I will discuss more about the other Virtual Desktop applications that I have used. 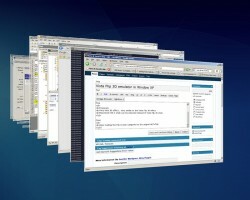 PowerToy’s Virtual Desktop Manager is nice, but not the best. Image Resizer: This is a very useful and simple utility to resize images that you can access it through the shortcut resize menu in the right mouse click popup menu. So please go ahead and try for yourself!